Mark E. Smith remains one of the most interesting and idiosyncratic figures in popular music after a recording career with his band The Fall that spans 30 years. 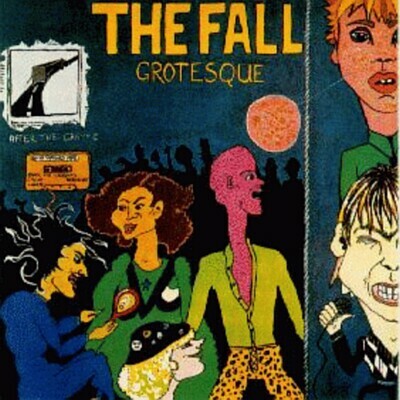 While The Fall were originally associated with the contemporaneous punk explosion, from the beginning they pursued a highly original vision of what was possible in the sphere of popular music. While other punk bands died out after a few years only to reform twenty years later as their own cover bands, The Fall continued evolving, while at the same time retaining a remarkable consistency despite frequent line-up changes that soon left Mark E. Smith as the one permanent member of the group. More than this both Mark E. Smith’s lyrics and the music of the group itself seem to reincarnate many twentieth century currents from modernist aesthetics to pulp fiction, for example in Smith’s well-known fascination with “Weird Tales” and writers as diverse as M. R. James, H. P. Lovecraft and Wyndham Lewis. At the same time, Mark E. Smith never wanted to be known as even a punk poet and his lyrics have always been inseparable from working with or rather against the changing members of his group. These antagonistic relations bring us to the difficult question of the politics of Mark E. Smith that have been interpreted as everything from working class conservatism to extreme radicalism and have seemed to constantly shift and mutate over the years. Perhaps the key aspect of the group that the conference will bring out is precisely the centrality of antagonism to Mark E. Smith and The Fall as a strictly maintained critical attitude to everything from musicians within The Fall to the wider musical and cultural sphere. The symposium will take place at the University of Salford on the 2nd of May, 2008 and will be hosted by the Communication, Cultural & Media Studies Research Centre (www.ccm.salford.ac.uk). If you are interested in participating, please send abstracts and a short bio to Michael Goddard, m.n.goddard@salford.ac.uk, to be received no later than 16 January 2008. Registration for the event will be £30.